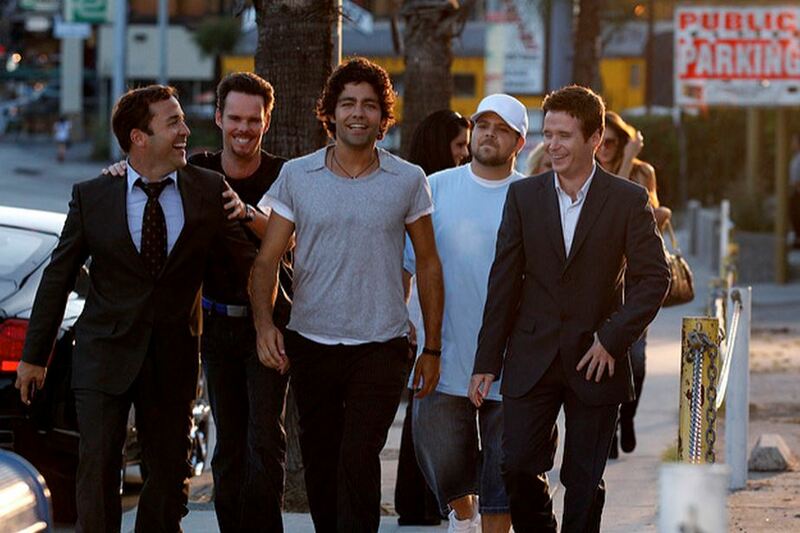 Does The Entourage Effect Impact Loyalty Schemes? Many organisations offer their best customers exclusive rewards to acknowledge their value and to reduce churn amongst their most valuable customer segment. The entourage effect suggests this exclusivity can sometimes harm the effectiveness of a scheme where a VIP customer has a strong entourage. For example, in online gaming VIP players are usually managed by a dedicated team of customer services staff who monitor their behaviour and will speak to them on a regular basis. These VIP schemes offer special promotions, free gifts (e.g. iPads), cash-back for large losses and they are invited to exclusive VIP parties and events. The exclusivity of VIP events and promotions is supposed to enhance the customer’s personal feelings of status. This is based upon the principle of scarcity which suggests that by restricting the availability of a reward it increases its perceived value. However, research published in the Journal of Consumer Research (2013) suggests the existence of an entourage effect which means VIPs may feel higher levels of status when they are able to share their experience with their followers. The entourage effect results in a heightened sense of status when a VIP shares other-wise exclusive benefits with a wider group of connected individuals. The effect appears to be driven by an increase in feelings of connection with their guests. What causes the entourage effect? Humans are highly connected and “super social apes” (Herd, 2009). This means people are often heavily influenced by the behaviour and opinions of others. Further, possessing status is a strong human motivation (Fiske and Taylor 2008; Taylor and Brown 1988) and as a result people frequently undertake behaviours for the purpose of signalling information about their actual or desired status. This is partly why people buy premium brands, large houses and expensive cars. Why do brands treat VIPs differently? Studies have indicated that rewarding customers does increase their perceived status (Dre’ze and Nunes 2009) and results in stronger brand loyalty and customer satisfaction. As the majority of an organisation’s revenues are often generated by a small proportion of customers (see the Pareto principle), it is important to reward and retain VIP type customers. However, many VIP schemes allow customers to share these exclusive benefits by inviting a guest along. But the danger here is that this could be perceived to reduce the exclusivity of the experience and thus the overall attractiveness of the benefits. This is based upon the scarcity principle which normally suggests that the more exclusive an experience is the greater its perceived value and the higher is its potential for signalling one’s status (Bourdieu 1986). The entourage effect challenges this theory when it comes to VIP style reward schemes. The research suggests this is not because VIPs don’t want to feel lonely, that they desire public visibility of their status or want to make people feel indebted to them. No, the research suggests that the entourage effect is due to our desire for a heightened feeling of social connection. Avoid making loyalty schemes too exclusive that it prevents VIPs from sharing experiences with their entourage. Allow VIP customers to add guests to events to elevate their perceived status. The research suggests this provides companies with an opportunity to increase loyalty and sales from their most valuable customers. The entourage effect does not apply to the notion of a “trophy wife” – a relatively scare person who increases the status of the other individual in the relationship. It’s the individual’s duty to support the trophy wife (Baumeister and Vohs, 2004) whilst it is the brand’s responsibility to develop and maintain the relationship with the entourage. See VIPs as groups rather than individuals. As people are social creatures it is important to treat VIPs as a group rather than a set of unconnected individuals. Taking this approach is more likely to generate long-term benefits in respect of improved retention and increased customer life-time value. The entourage effect demonstrates the importance and power of our social connections in potentially elevating our status within our in-group. Even when this reduces the exclusivity of an experience our social nature offsets any loss in scarcity by increasing our feeling of social connection. However, the research does indicate that the entourage effect is significantly reduced when there is a large physical distance between the VIP and their entourage, if the treatment is not preferential or if the guest also has a legitimate right to attend the VIP event themselves. Overall though, the entourage effect indicates that it is beneficial for VIP loyalty schemes to allow members to invite guests to events. Loyalty schemes should make allowance for the entourage effect by encouraging VIP customers to pre-register close friends or relatives for events and promotions to enable them to fully benefit from the entourage effect.